Usually despatched within 1 - 3 working days. Popular items occasionally become unavailable from our supplier without notice, in which case we will contact you to arrange a refund. 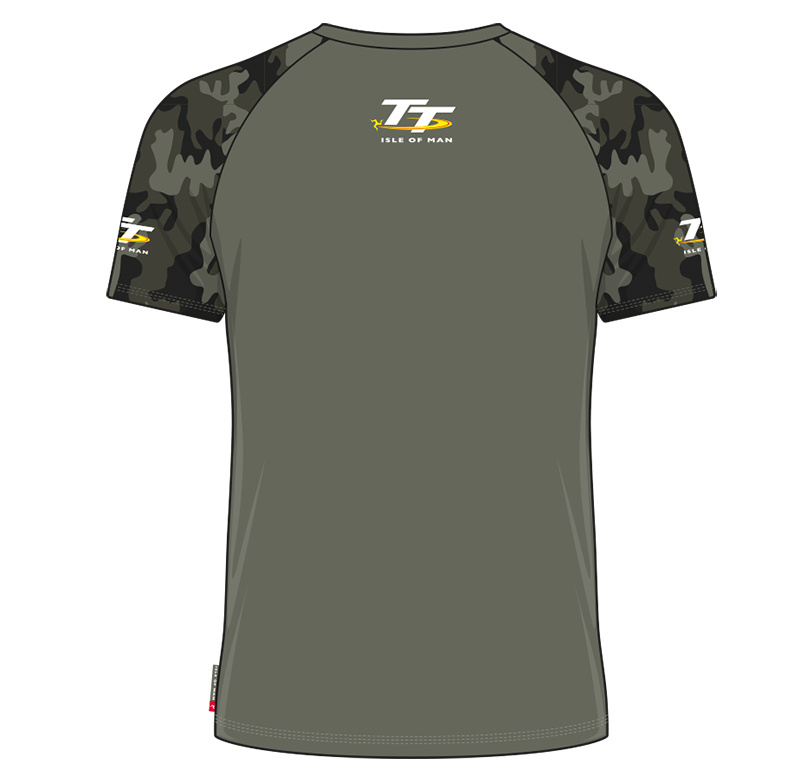 Official Isle of Man TT Camo Green Custom T-Shirt featuring Camouflage print to both sleeves. The Official Isle of Man TT Logo features to the front, back and two sleeves.